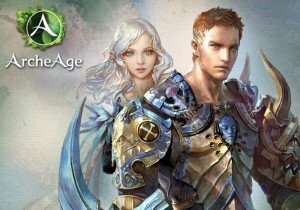 Trion Worlds has announced that the next phase of ArcheAge: Legends Return‘s Fresh Start servers will go live on June 13th. They will bring dungeons, raids, and upgrades to the Fresh Start servers. The Golden Ruins will be available to claim additional housing, as well as embark on new daily quests/high-level creatures to battle en route to hitting level 50. Additionally, the Serpentis raid is open for enterprising adventurers, as well as Sea of Drowned Love and Sea of Drowned Love’s weekend version. Other changes include an expansion of the Dream Ring quests on Fresh Start, allowing you to take your Ring to its maximum level, the introduction of T1 Cars, and the Farm Hauler upgrade. Meina and Glenn are back and murdering innocents to attempt to gain immortality, and if that wasn’t enough of a threat, Jola the Cursed has invaded Exeloch, summoning great power in an attempt to free the world’s greatest threat – Akasch.